Located directly across the road from the lake, this affordable, self-contained apartment can sleep up to 4 guests. There are no hidden costs - your nightly rate includes bedding, towels and exit clean. A fully fenced onsite swimming pool is available and the apartment is bathed in sun all day long. Free on-site parking is also available. 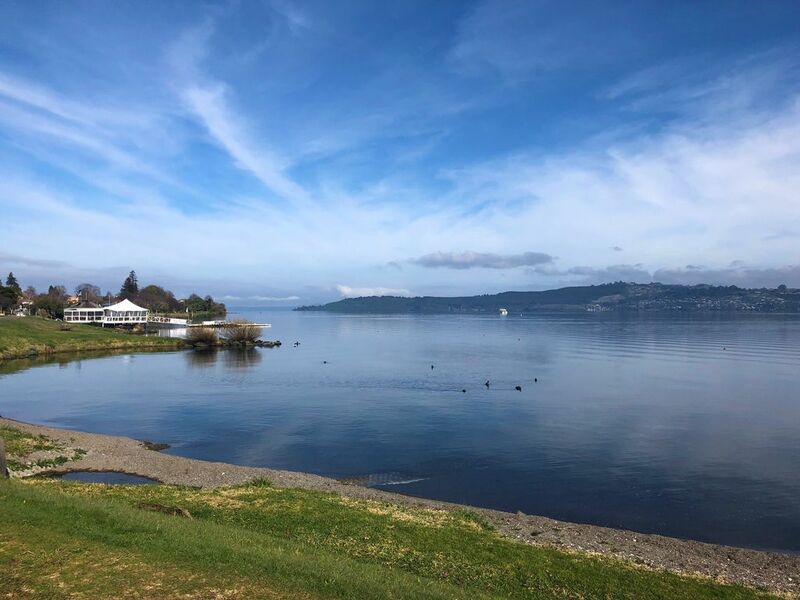 You will never be short of things to do in Taupo. Town centre is just 5 minutes drive. There may be minimum stay policies in place for peak periods and event weekends. We ask that you leave this apartment as you found it. Not suitable for parties or gatherings.